Fatigue cracks initiated from corrosion pits have been reported in various metallic structures under corrosive environments. Pit-to-crack transition occurs when the stress conditions around a corrosion pit exceed the endurance limit of the material. 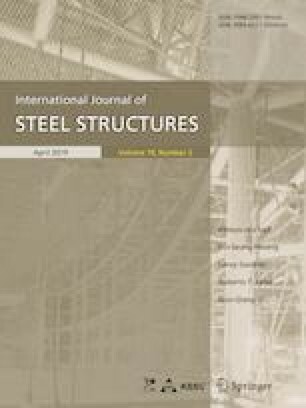 The effect of stress concentration at the site of a hemi-ellipsoidal corrosion pit on a metal plate was investigated using rigorous finite element analysis. Pit configuration and plate thickness were major parameters determining stress concentration factors (SCFs). Pit configuration and plate thickness were parameterized and the effects of each as a SCF were investigated. An increasing monotonic trend was evident as the pit became narrower and deeper. The effect of pit configuration was negligible, however, when the pit depth approached the plate thickness. Based on variations in the SCFs, parametric equations were developed via nonlinear regression analysis. The equations aptly represented each of the parameter characteristics and were used to accurately estimate their effect as a SCF. This work was supported by Smart Civil Infrastructure Research Program (18SCIP-B128568-01) funded by Ministry of Land, Infrastructure and Transportation of Korean government; and the BK21 PLUS research program of the National Research Foundation of Korea. NIST/SEMATECH. (2013). e-Handbook of statistical methods. https://www.itl.nist.gov/div898/handbook/. July 6th, 2018.